If the answer revolves around financial planning for retirement, you’re not wrong… but it might also be an incomplete picture of what proper planning can do for you. Or it might not be the right way to think about the kind of planning that’s best for you at all. 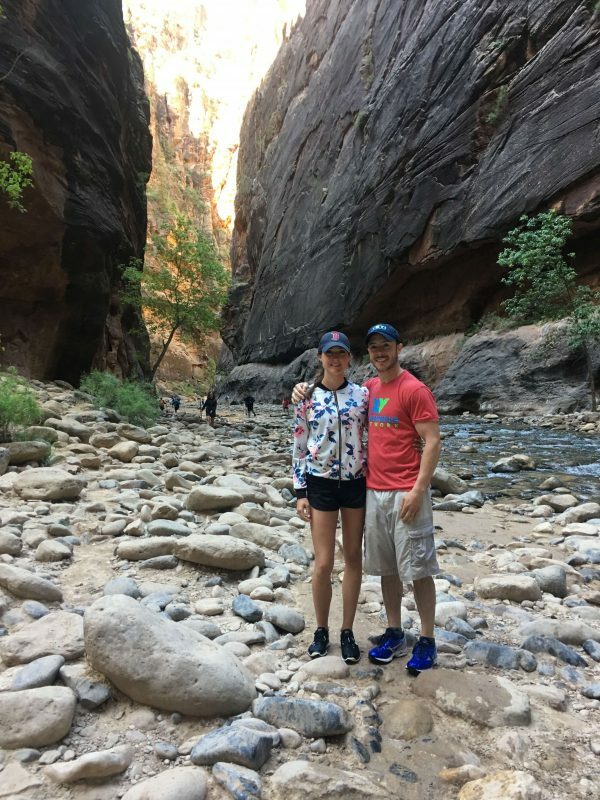 For us, financial planning is far more expansive than just “save for retirement.” Financial planning provides us a system and a process for making big things happen in our life — like paying for our wedding or getting to take spontaneous trips like the one we took in June out west to Zion National Park and Bryce Canyon. Regardless of your goals, the idea that you only need to plan for your retirement is misguided. There’s a lot of life to live between now and when you decide to stop working (and if you decide to stop working). That’s the number-one reason I’d suggest to stop worrying so much about financial planning for retirement — and start thinking about the planning you need to do to live your life well today. Focusing only on planning in terms of retirement causes a few problems. For one, your life shouldn’t be about driving to this distant point that’s decades into the future. Life moves fast enough even when you’re great at being present and living in the now. You’ll miss a lot more if you fixate on a point in the future and only plan for that one big milestone. …you don’t plan for anything but retirement. There are plenty of other short-term goals and milestones in your life that you likely want to hit (like starting a business, growing your family or buying a home, traveling the world…) and failing to plan for those could mean failing to use money as strategically as you could have done — and not getting the most out of it. …you sacrifice so much today that you feel deprived and miss out on experiences you can’t have again or later down the road. Life should be about far more than working, working, working — then suddenly stopping and twiddling your thumbs for a few years in old age. …you never explore how you can discover and take advantage of opportunities to leverage your money in the best way possible. The life you want to live could be within your reach, and you may not even know it if the only planning you do is for retirement, and the only way you use your money is by either spending it all today or putting some of your earnings in your 401(k) and calling it a day. None of us can know the future with certainty. But we can make some reasonable assumptions and guesses about some things. For my own future, I know that I want to reach a point where working becomes optional. I know I want to be able to travel. I want to spend more time with friends and family doing things we love: going to the beach, heading to the lake, taking hikes and going camping, grilling in the backyard and hanging out by bonfires, and enjoying lots of other experiences. I know I want the choice and flexibility that wealth can offer, like the ability to live where I want, spend freely on the things I value, and put my time and my energy toward things that offer fulfillment and satisfaction (without necessarily worrying about how much I’m getting paid to do those things). Ultimately, I know financial freedom is a big goal of mine — and to reach it, I need to prioritize saving money over spending it right now. That’s why I set aside at least 30 percent of my income to contribute to savings and investments. These contributions are made automatically and we don’t even look at this money as available to spend. It’s almost like it doesn’t exist because as soon as it’s in our checking account, it’s back out to our savings and investment accounts. That means there’s no opportunity to spend this money. It’s really easy to talk yourself into buying or spending today instead of saving for tomorrow, but the automated transfers eliminates that option. Even when we feel tempted to say, “oh, let’s just buy this thing, we can afford it!” the fact that the money already moved to where it needed to go keeps us on the right path. As long as we’re saving and investing at least 30 percent of our household income, we can reasonably assume we’ll create the wealth we need to achieve our big-picture goals. Beyond that? We still have a life to live today. While we could save a higher percentage of our income — and some months, we do save a higher percentage — I don’t want to scrimp and pinch pennies to the point of missing out on important experiences right now. We use the 30 percent number as our baseline, and then make informed choices about whether to save or spend if we have “extra” money in our cash flow one month. We run the same projections for our potential choices as I run for my financial planning clients, so we can see the potential outcomes (and consequences) of our decisions. Seeing the impact both in the short-term and in the long-term allows us to make strategic, smart decisions with our money in real time, so we can successfully balance living well today with investing for the financial future we want tomorrow. Obviously, this isn’t a one-and-done step in our financial planning, but this is the idea that serves as the backbone of that plan. And as you may be able to tell, it’s a lot different than the traditional financial planning for retirement. I don’t want to think the worst, but the reality of life is that tomorrow is never promised. I don’t want to miss out on amazing experiences today because I’m hyper-focused on the future — and then, for whatever unforeseen reason, not be able to enjoy the future I was banking on. That being said, my odds of making it to that future are pretty good — and when I get there, I need a way to pay for it. That’s the balance you have to strike with the financial resources available to you. It’s possible, but it’s not easy to do this type of planning on your own. Giving people a structure for striking that balance with confidence is one of the biggest values I provide to my clients. Money is a tool that’s meant to be used, and it is possible to balance spending some now with prioritizing saving and investing to create significant, lasting wealth.